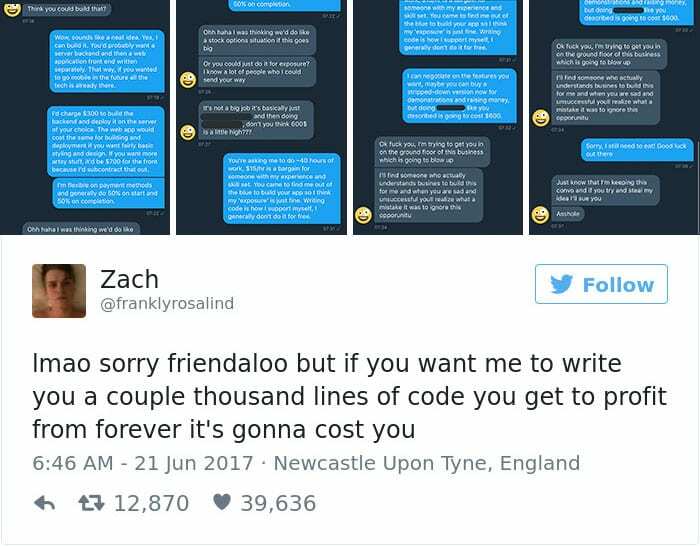 As a programmer, you would have probably come across someone who gave you a brilliant idea and asked you to build it for him but instead of offering you payment in full, there is always that one catch. The payment terms range from stock options to delayed payment but the worst of the lot, is when you are asked to code in return for “exposure”. What most non-programmers fail to realize, is the amount of time and effort that goes behind developing even a small software. Even a small Android application needs servers, web services and hours of designing, coding and debugging before it can even be presentable, making it good enough to be shared with potential customers requires a lot more work. Recently, Zach Zundel was approached to code a project. 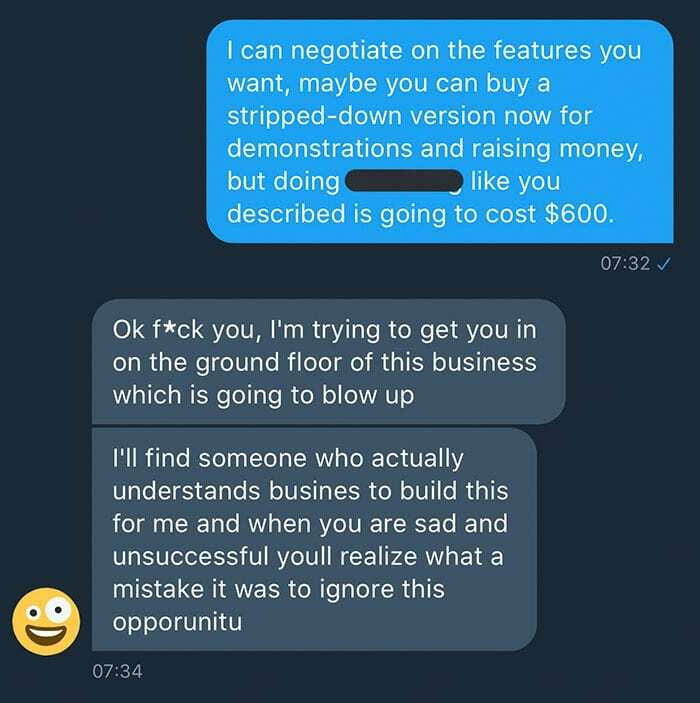 Like a professional, he examined the project diligently, let the client know how he would recommend the project and what would be needed to get it done and how much it would cost him. 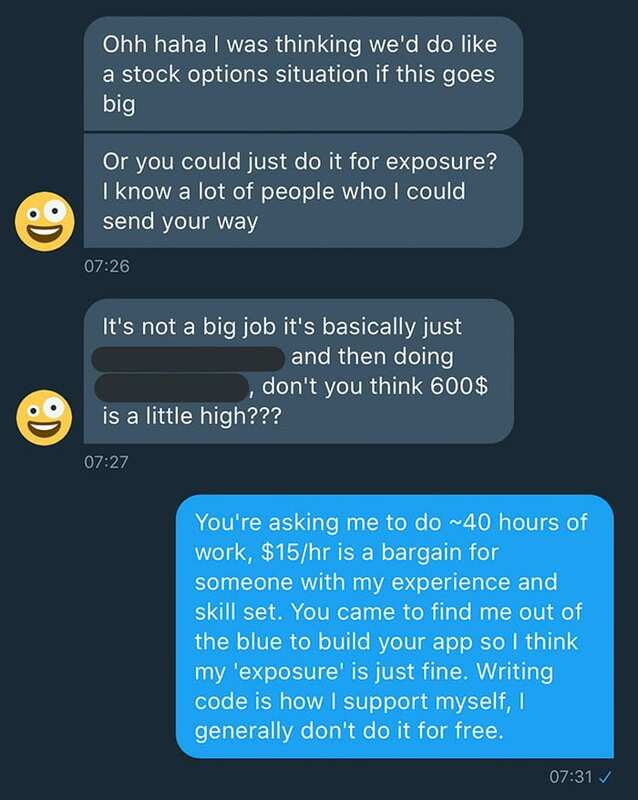 In reply, the client asked him to work for exposure instead of payment. 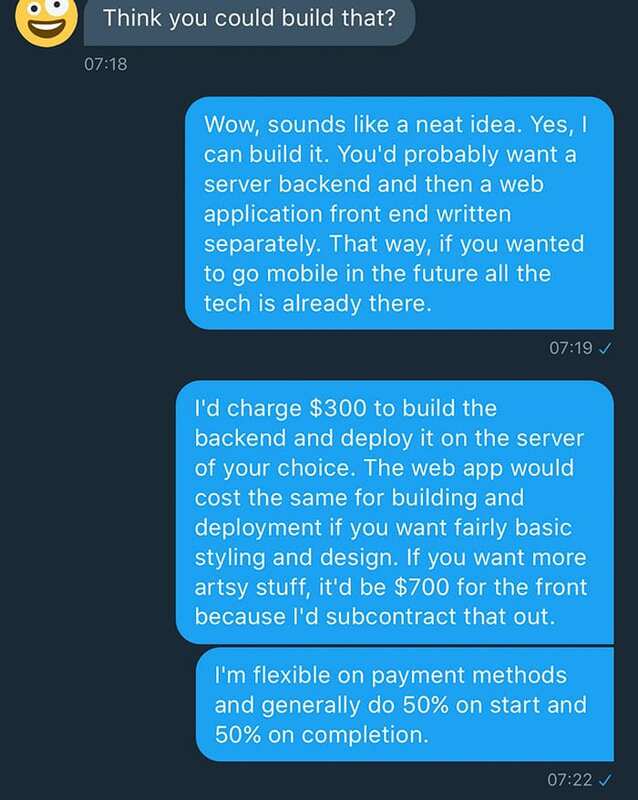 Obviously Zach was not thrilled to develop a 40 hour project for free. The client however, did not take too kindly to this. How do we know this ? We know the entire story because Zach chose to share it with us via Twitter and his tweets have received 15k retweets and 48k likes as of writing of this article. 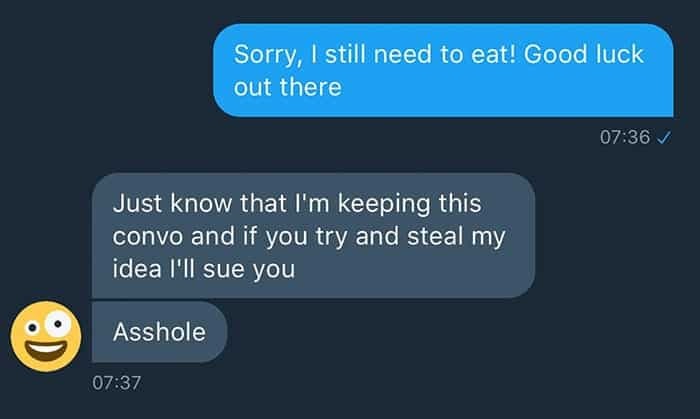 Like we mentioned, the client was not too pleased that he chose to share the conversation over the internet. The Twitter community however has risen in his support. You can check out some of the retweets that Zack received right here. many people are just so selfish, they hire and refuse to pay, even my programmer who hacks everything still made the same complain, PRAWNCRACKER82 on GMAIL ,is a very good programmer ,he can hack email,websites,facebook,university grade etc. Wow, they thought us that stuff on school. “You get a slice of the pie which grows as the venture expands”. Seems programmers have found the antidote to that temptation and as such schools need to update their curriculum as the “slice of pie” catch has become less efficient.